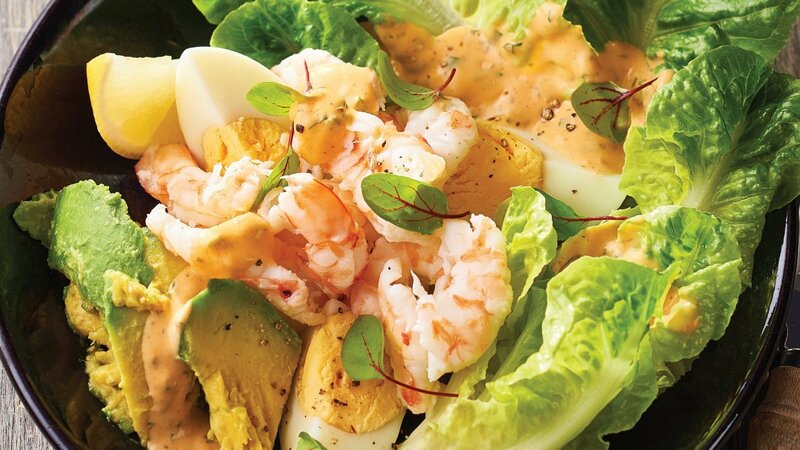 Prawns combined with this classic west coast American salad will be a great addition to your lighter menu options. The zesty combination of the dressing and chilli gives it a little kick. Combine, Best Foods Thousand Island, chives, parsley, chervil, paprika, chilli puree and Dijon Mustard together. Place the rest of the ingredients on a plate starting with the cos and drizzle over dressing.